Instagram introduced direct messages in its app 10 Cool Tricks to Help You Use Instagram Like a Pro 10 Cool Tricks to Help You Use Instagram Like a Pro We're always covering the best awesome Instagram tricks and ideas. But I'm offering you ten tips and tricks I found that will specifically help turn you into a professional on the social network. Read More a while back, but did you know that there are four different ways you can do it? If you’ve already received direct messages, you will see a list of previous conversations (right screenshot). To send a new direct message tap the + button in the top right corner. If you haven’t received direct messages (left screenshot), you can tap the + button or the Send Message link. Select a contact from the suggested list or search for the exact username of the person you want to DM. In the window that opens up, you can write your direct message, send photos from your gallery or take a new photo with your camera. If you want to share your own Instagram posts, or any other Instagram post you come across, in a DM, do the following. Tap the Message icon underneath the image or video. Select or search for the username(s) you want to send the image to, and tap their icon(s). In the field that pops up, you can enter an optional message. You can also upload a photo to Instagram and go through the editing process you normally would to post it to your profile. Tap the new upload button. Select the photo from your photo you want to share and tap next. If you want to, add filters and edit the photo, and tap next. On the final step where you can add a caption and hit the share button, tap the drop down menu at the top of the screen that says New Post and select Direct Message. You can also direct message an entire hashtag page or location page on Instagram. Navigate to the page for that hashtag or location. Tap the message icon in the top right corner. Unfortunately, all of these methods work only on the mobile app — you can’t send direct messages on Instagram, from the official Instagram website in a browser. Looking to do more with Instagram? 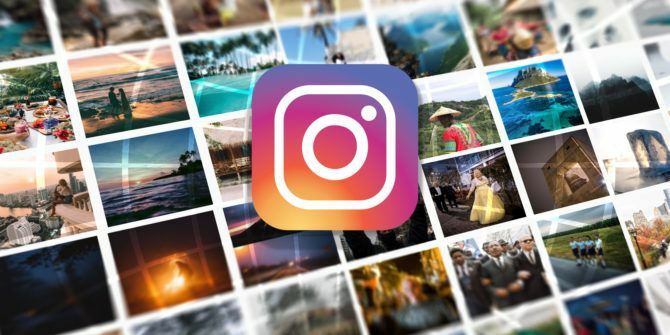 Take a look at these useful Instagram features you should be using 8 Useful Instagram Features You Should Be Using 8 Useful Instagram Features You Should Be Using We've unearthed some useful Instagram features you may not be using yet but which will help you get more out of Instagram... Read More . Explore more about: Instagram, . And what about auto DM apps? Here the majority of auto dm app and bots have a wider functionality and price. you cannot choose any one function. But what if I need only DM. I found only one application that gives possibly only auto dm bigbangram.com/directmessage, needless functionality and the price is appropriate. It would be nice if you found and described more such services would be interesting. Hi there, there doesn't seem to be the Method 3 available anymore, would you know anything about this? This option seems to have disappeared after the latest update (August 2017), any help would be appreciated, thank you! Still you have the other three.